New Year, New You…Same Us! The DM Lab is a design and digital marketing agency. Covering all aspects of both online and offline marketing. 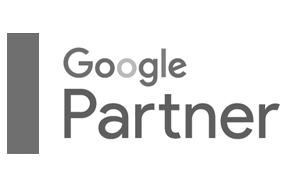 Ranging from PPC and Google Ads campaigns which we are recognised as Google Partners, to inbound and email marketing. In an ever-changing digital world, we are constantly reading and learning new techniques. Why? To ensure we are always top of our game. We identified a gap in the market locally back in 2014. We knew we had a valuable service to offer businesses. Focused, quality marketing to complement our existing web and graphic design skills. We help clients grow their online presence, website traffic and social media following. Most importantly their leads. We’re employed as a ‘white label’ marketing department. This means we remain anonymous. Paying us a monthly retainer we can adjust at any time. Furthermore we can adjust the budget to suit them and their business needs. We are so confident in our ability to deliver that we never tie in clients with contracts. They’re free to come and go as they please. However when they see results and grow their business they are always willing to reinvest in us. reinvesting to grow further with a bigger budget. As they grow, we grow. It’s brilliant marketing made simple! The business was established in 2010. following a chance meeting and some unfortunate circumstances. For 4 years we ‘ticked over’, with no financial help and persevered through the recession. In 2014, we changed the direction of the business to offer focused digital marketing with complimentary web and graphic design skills as we identified a gap in the market. 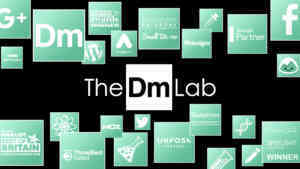 To reflect this, we successfully rebranded to The DM Lab, The Digital Marketing Laboratory. We’ve worked with over 150 clients locally, nationally and even internationally in that time. Struggling to break into the local market despite the gap we identified, we sought clients outside of the County of Herefordshire. We worked hard establishing ourselves and the brand for 2 years. 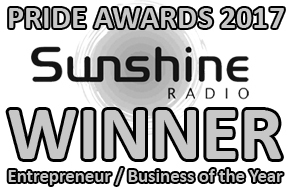 In 2017 we won ‘Growing Business of the Year’ and ‘Entrepreneur / Business of the Year’ at local awards ceremonies. 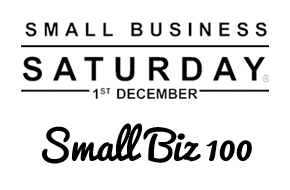 In 2018, we were 1 of 10 finalists at the Best of Britain Awards, won a Spotlight award in the Digital / Creative / Media category and were selected as one of Small Business Saturday’s Small Biz 100. 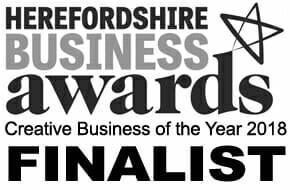 Most recently we have been named a finalist at the Midlands Business Awards for our work in the community through our businesses’ success. 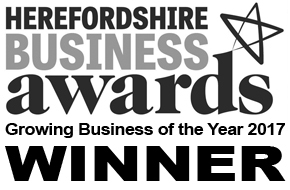 We were also a finalist at last years’ Herefordshire Business Awards. 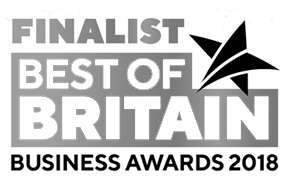 We were named a finalist in the ‘Creative Business of the Year‘ category. 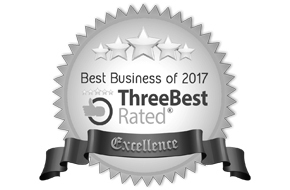 With only two full time employees (Marketing / Managing Director) and Dale (Creative Director) and a recently recruited apprentice working from a very small, humble office we offer a service unlike any other in Herefordshire. Our sole focus is digital marketing and between us we have a plethora of skills at our disposal. Over 80% of our clients are outside of the county. We continue to gain new clients based on referrals from the clients we work with. Some of these clients are working with multi-million marketing budgets and can be situated anywhere in the world. 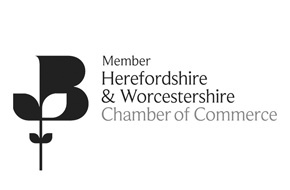 We chose not to compete with other more established businesses in Herefordshire but as we have grown, we have gained considerable recognition and respect from the local market. 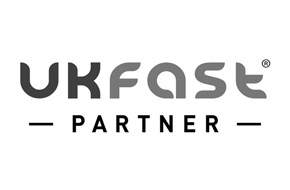 Our accreditations include being a Google Partner, a UKFast Partner and one of Small Business Saturday’s Small Biz 100 2018. 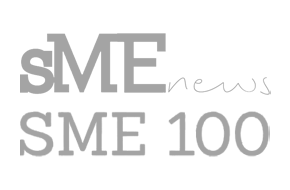 As a micro business ourselves we understand the importance of growth and sustainability of other micro businesses to national and multi-national businesses. We grow businesses whatever their size, and for us because of how we operate, means we have collected clients from Europe and the US from our small, Herefordshire based office! From June 2010 to June 2014 we were trading as ‘McTip IT Limited’. We broke even year on year and steadily increased our client base which today is over 150. Between the two directors the company was self-funded. Therefore no loans, overdrafts, investors or outside financial assistance. We worked from a converted garage, drew a humble salary and reinvested what we could into growing the businesses and making it a success. When we changed the direction and focus of the business into a design and marketing agency we needed to rebrand to express and communicate this. Since The Digital Marketing Laboratory (The DM Lab) established in 2014, we have enjoyed successive years of growth. After establishing the brand for a year, we saw financial successes. Securing a new office space and adding an apprentice to the team, we’ve enjoyed another successful year in 2018. We’ve worked with a high profile celebrity and professional sports players. Won 3 awards and been a finalist at 2 awards. 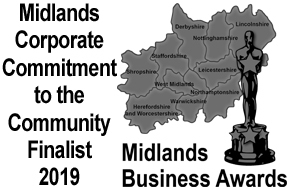 We’ll know if we’ve won an award at the Midlands Business Awards in March and we were one of Small Business Saturday’s Small Biz 100 2018. As our skills and project management improve we’re able to undertake more work. We are no longer a jack-of-all trades, we are solely focused on digital marketing. 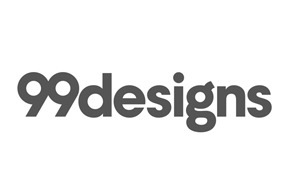 This refocus has certainly assured us long term stability and sustainability because web and graphic design agencies are offering what we specialise in as an additional service. Our focus is digital marketing. Websites are commonplace, but knowing what to do with them when they are online and optimising them for search to increase leads, sales and presence is something else entirely. We offer the full spectrum of services with a specific focus on the long-term success of anyone we work with. Working on a no-contract retainer model, we develop long and lasting relationships with our clients, sharing in their success as the better they perform, the more sales they make the more they are willing to reinvest to grow themselves further. Their success directly benefits us as a result. This growth has enabled us to secure new premises in the city centre so we can accommodate our new apprentice who started in August. 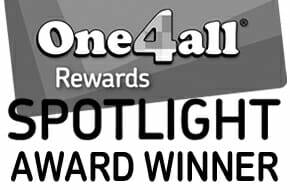 As a result of our efforts we have earned recognition at local and national level. Our clients’ success and retention certainly being at the heart of this.